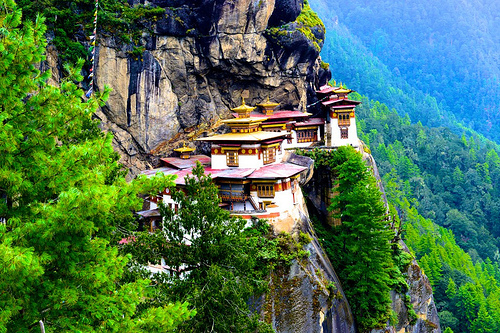 There has never been a better time to visit Bhutan. With its unparalleled beauty, few tourists, affordable accommodation, delicious food, and a rich and ancient cultural heritage, it is a little-known land of wonders just waiting to be discovered. Bhutan is a tiny Buddhist Kingdom dwarfed by the great Himalayas, and a little-known gem perfect for adventurous, outdoor-loving travellers. It is also a haven for those seeking a spiritual reconnection with nature in the quiet and tranquillity of majestic mountains and gorgeous terraced valleys. Whether you travel with a trusty old backpack and hiking boots, or in business class and luxury hotels, Bhutan has something special to offer you. Although it is sometimes overlooked for its better-known neighbours Tibet, Nepal, and India, Bhutan offers a deeply personal and awe-inspiring experience for those who visit, complete with untouched cultural heritage sights and exceptionally beautiful natural landscapes. It has its own stories to tell, and adventures to offer those who choose to visit and get to know its unique way of life. 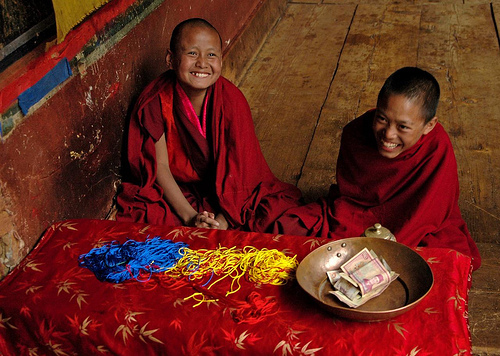 Instead of measuring the country’s wealth in GDP, Bhutan measures its GNH, or Gross National Happiness, and it is known as one of the happiest countries in the world! 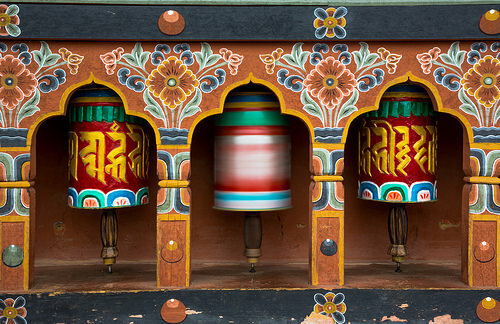 With a focus on spiritual well-being, sustainable economic activities, and conservation of the natural environment and local culture, Bhutan is an inspiring and truly wonderful place to visit. Although it is steadily rising in popularity as a tourist destination, Bhutan only opened up to tourists in 1974, and it was only in 1999 that the ban on television and the internet was lifted, so much of the country remains in the infancy of modernity. There is currently a $200/day tourist tax for visiting the country, which can be pretty steep if you are planning a long stay, but the fee is well worth it considering the unique traveller experiences that await you. At present, there are no “tourist prices” for accommodation or food, no crowds, no queues for visiting overpriced monuments, and no cheap takeaway fast food restaurants or souvenir emporiums – only authentic Bhutanese places and warm, welcoming Bhutanese people. 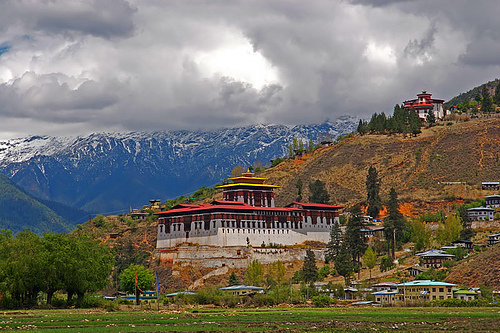 The capital of Bhutan is Thimphu, a city known for its unique architecture and colourful streets, old monasteries and fortresses, Buddhist monks in crimson robes, fantastic Bhutanese chili, and a reputation as one of the happiest places in the world. The city is best seen on foot or by bicycle. The Paro Valley is another must-see in Bhutan – it’s the home to the legendary Taktshang, or Tiger’s Nest Monastery, stunning terraced rice paddies, rivers, lakes, and the most breathtaking views of the Himalayas. The Paro Valley is also a great place for a yoga or spiritual retreat, as you can escape into a world of peace and breathtaking views, on top of the world. High-altitude trekking is adventure travelling at its best, and Bhutan has several challenging and picturesque trails for you to attempt. The Snowman Trek is considered one of the world’s greatest and most remote treks, and it promises a once-in-a-lifetime outdoor experience in untouched nature. If you fancy festivities more than physical exertion, be sure not to miss the Paro Festival of Rimpung Dzong – “The Fortress of the Heap of Jewels”, which usually takes place in March or April. For the ultimate luxury, try a traditional hot stone bath. Large stones are heated in a wood fire before being lowered into a tub of water, giving you a delightful way to end off an adventure in the Kingdom of the Clouds.